So I'm not having a good St. Patrick's Day. 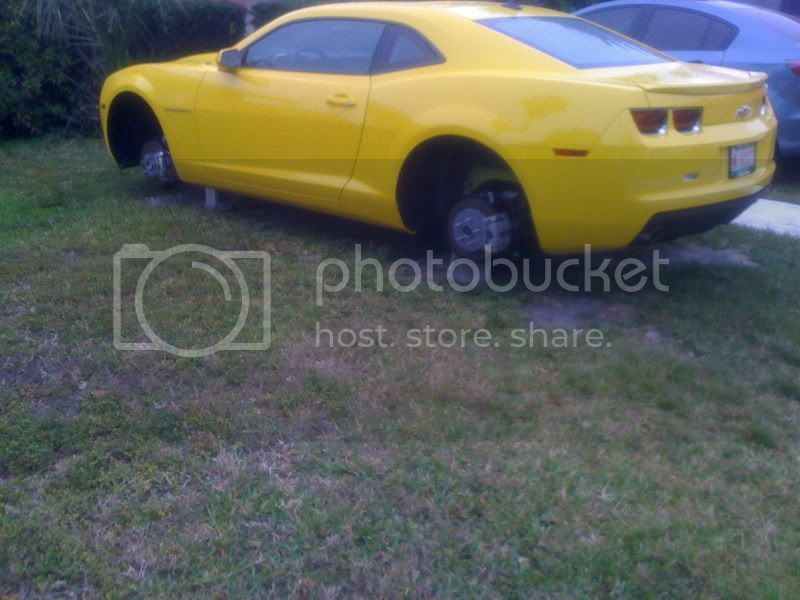 I woke up this morning to find all four of my wheels and tires had been stolen last night from right in front of my house!!! I'm about ready to have a breakdown. I'm hoping that the Camaro5 family can help me try and track down these dipshits. I'll be looking in the classifieds and local craigslist ads to see if they post them for sale there. 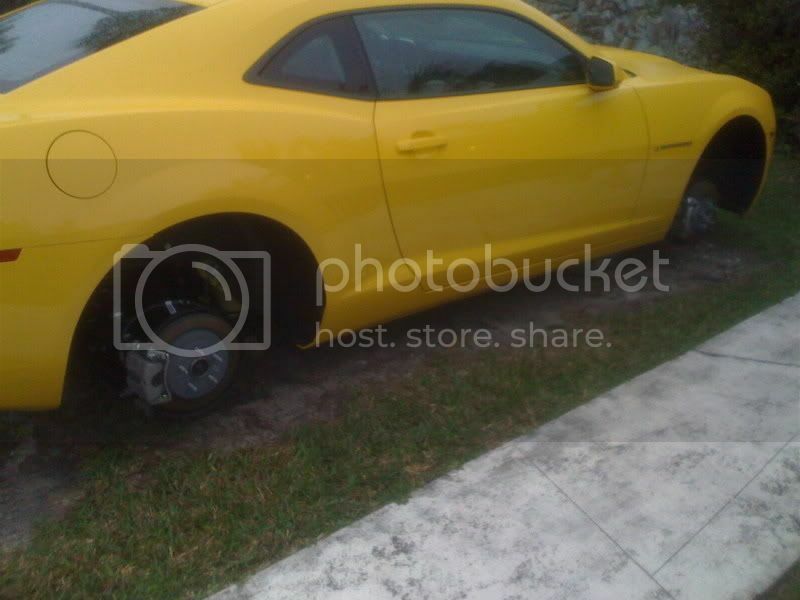 Can you guys please keep an eye out for anyone selling a set of the 20" Polished RS wheels (in Florida and especially in the Miami area). If you see anything suspicious please let me know. My car only has 220 miles on it so the wheels and tires will be like brand new. Any help will be greatly appreciated. Thanks.